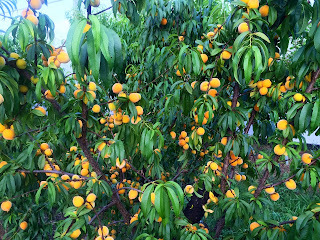 What is the best fruit tree for Christmas? The Dwarf Gulf Gold Plum Tree and this is why. It is self pollinating and a low chill plum tree that is great for backyards. So if you live in a Subtropical climate and don't get those months of freezing weather or you live near the ocean and don't get heavy frosts then this is the plum tree for you as it only needs about 200 chill hours. Why Christmas? Well this Grafted Plum Tree produces it's golden plums just before Christmas. Why Is it the best. Because of the taste and because of the amount of flesh on each fruit. This is because of it's very tiny seed. Every staff member at Daleys Fruit Tree Nursery agrees this is the Champion of plum trees that we grow and the one that gives us the most success. When setting up an exclusion orchard that is is fully netted in to keep fruit fly out. 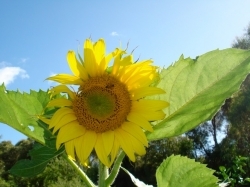 You do however need pollination and that is where you can get a native Australian Bee called Trigona. They are a stingless bee which do a great job pollinating. Send Mail Order Fruit Trees to a friend or relative this Christmas. The last date to send is December the 16th. 4pm just now (18 Nov 2013) outside of Kyogle the 3rd hailstorm in 3 days. Has anyone else been hit? Keep safe everyone. Can you Critique our new Video Format? Like ? Dislike ? We want to arm you with the knowledge/education to grow some very productive fruit trees in your backyards + We want to make you so passionate you tell your friends about what you have done. What can we do to reach this Goal? Via our videos how can we convert your friends to tear up their pristine lawns and make it more fruitful. 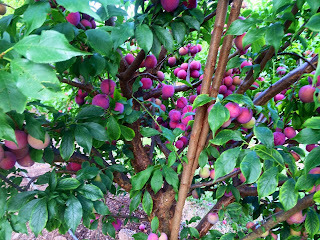 This is a Gulf ruby plum tree and it is a really great low chill plum so it is great if you are in warmer areas. It cross pollinates with all the other gulf series plums. So you can cross pollinate it with a gulf Gold or Gulf blade. They are really lovely delicious plum. 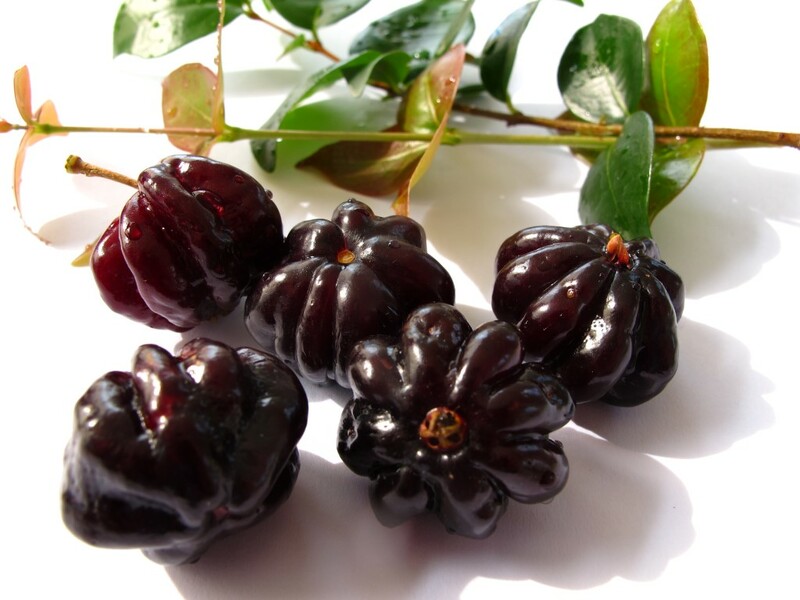 Their skin is very waxy and if you just polish it up they are a beautiful bright red skinned plum with yellow flesh. When they are fully ripe they are really delicious but you can eat them fresh off the tree and they are a bit hard and a bit sour but tangy. I think this is a beautiful plum a really versatile plum. Uses: Preserve them, Bottle them, Eat them Fresh or make Jam. Kath is from Western Australia says "I live on a 5 acre block of absolute rubbish grey sand south of Perth." BUT Look at what she has done with Kaths My Edibles Page. 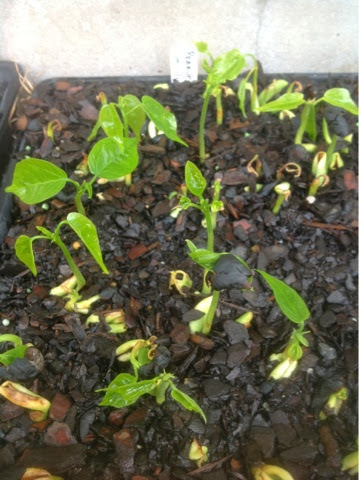 f you want to share what plants you are growing in your Backyard like Kath you can go to the My Edibles Page. 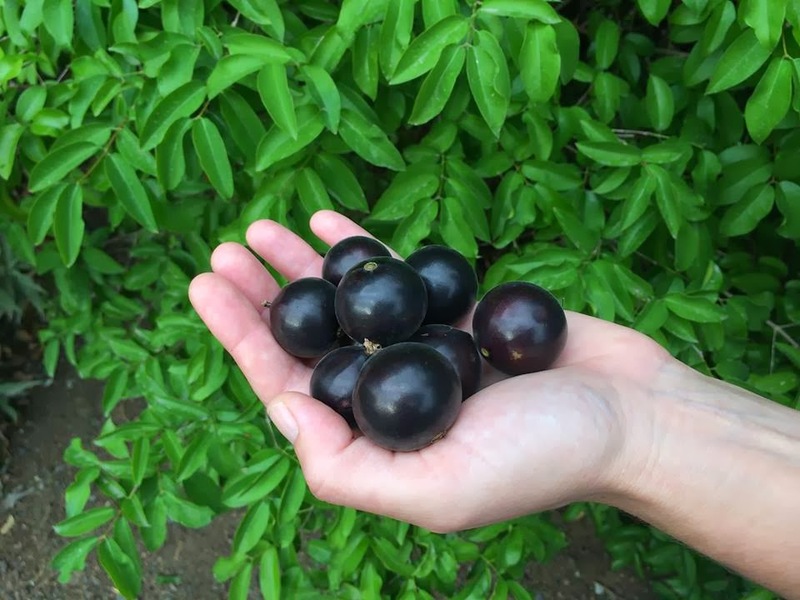 Gulf Ruby plums, we have had a bumper crop on our gulf ruby plum this year. When fully ripe they are sweet and juicy. Cross pollinate with a Gulf Gold plum and then thin the fruits so the weight of them does not break the branches on your tree. You will still have enough fruit to feed the family, bottle and make jam too. 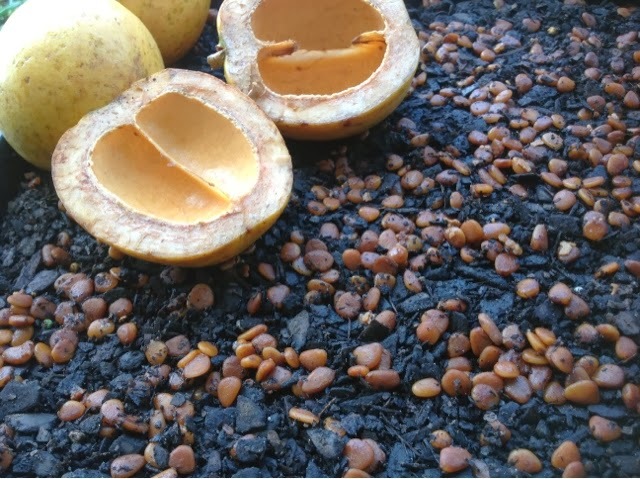 What is the difference between Yellow Jaboticaba Fruit Tree, Large Leaf Jaboticaba Fruit Trees or normal Jaboticabas Trees? Lovely Lime Green foliage. The fruit is tangy but not super sweet and they are yellow. They sweet along the branches rather than along the trunk. "....so if you have some space in your garden, grow a Jaboticaba Fruit Tree"
200-225 hour chill great for coastal & subtropical regions. 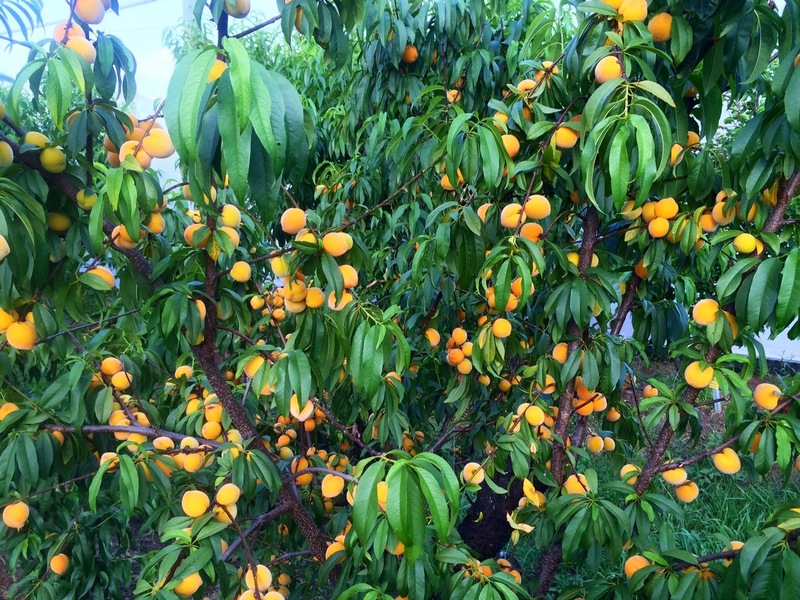 Orange flesh nectarine, Home grown and organic. We are feasting on large leaf jaboticabas, they are just as spectacular as the small leaf but bigger. What are you enjoying straight from your garden? 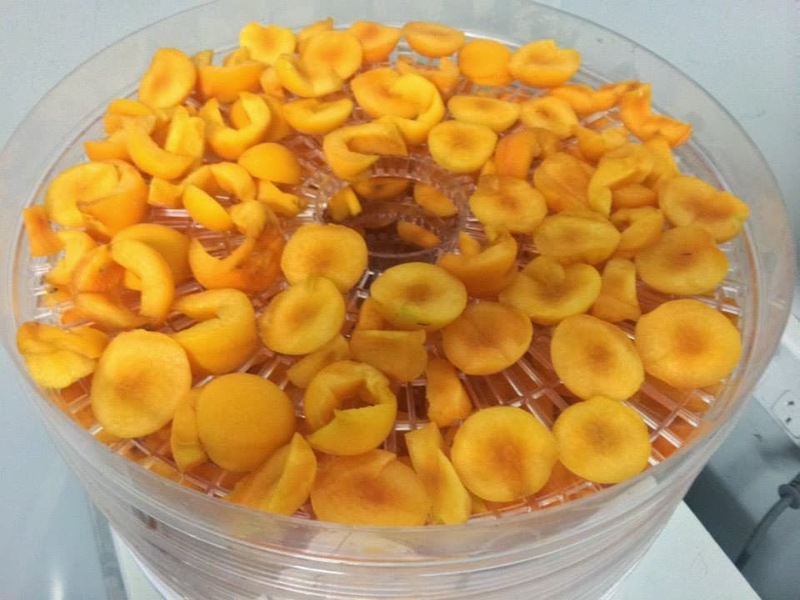 In the full dryer we used 6kg of Peachcot Ora A Tree fruit. 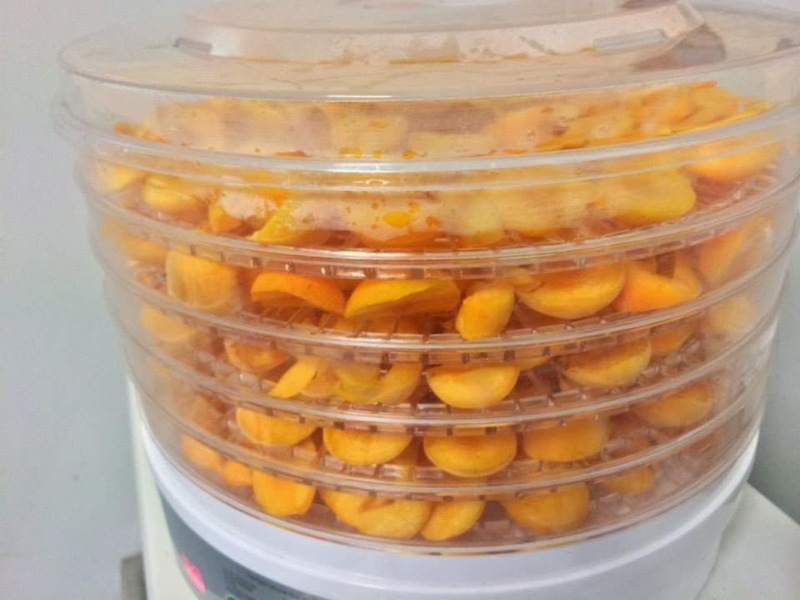 All we did was cut the cheeks of the peachcots and remove the seed, they are ready to dry. 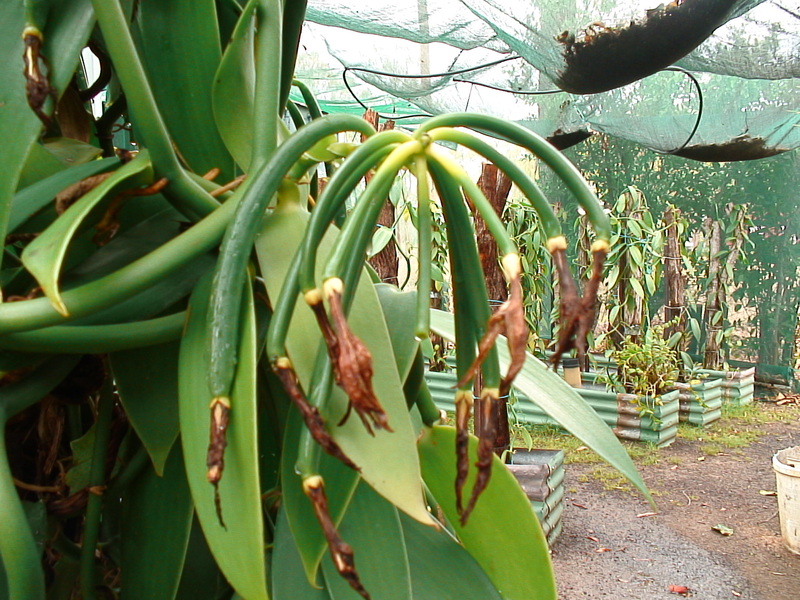 Do you know anything else about Vanilla Vines? Please share them in the comments below. Our Peachcot Ora A Tree is always a star performer. It is resistant to black spot and is the perfect mix between a peach and apricot. When it fruits you have more than enough so to get a years supply you just need yourself a food dehydrator that you can pack full and then use them in cakes, breakfast muesli and sweetening up a salad. But of course when eaten off the tree the high water content of this juicy fruit is oh so refreshing. Our Plum Tree the Gulf Ruby needs a Gulf Gold to pollinate it. The two work perfectly together because it is Novemeber and we will have lots of fruit from this Gulf Ruby but when it is finished the Gulf Gold Plum tree will start fruiting. 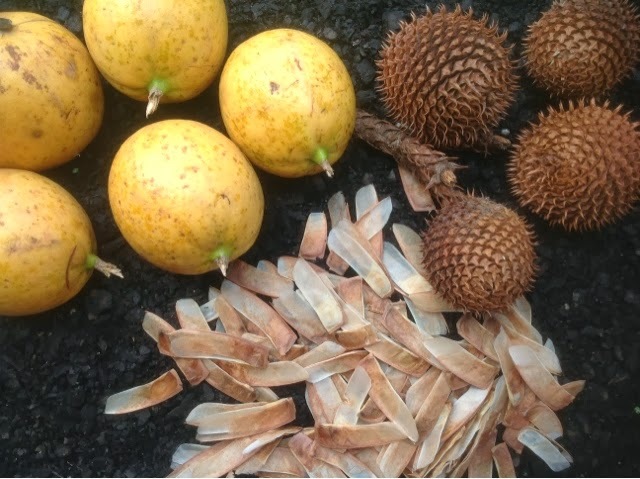 Spring is a great time to get your teeth stuck into the many wonderful Tropical Fruit Trees that can be grown in Australia. Here is a picture of me taking this to new heights. I visited tropical fruit world last weekend and got a brand new love for the World's Most Nutritious Fruit. The Avocado Tree. My tour guide told me this because he said "they contain almost all essential nutrients for us". Also he told me "They have more dietary fiber than any other fruit.". Being so smooth, creamy and delicious this was a surprise. I love mulberry season, the trees fruit prolifically and could well be my favourite fruit of all times. I gathered a selection from the orchard this morning and we tried them all out at morning tea time. The pick of the day was the Angela, these are an unusual coloured fruit that I often describe as blonde/black, they are a pale purplish colour, sweet and are a good sized fruit. Gayes Pink was also very popular, it may be only small but it has a delicious flavour and is very sweet. It was the sweetest of the fruits on the table this morning. Of the black mulberries the Dwarf Black and the Hicks Fancy are very similar, both have a lively tang to them that makes them the ideal fruits for baking into pies or making mulberry jam with. The Dwarf Black is my favourite fruit as it is so prolific and I love the slightly sour flavour. The Beenleigh Black has beautiful large, luscious looking fruits but they did not win the tast testing competition. 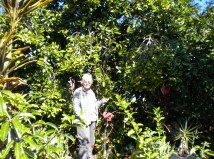 Paula from Worongary, QLD, AU says of her Lychee Wai Chee Tree. "This tree hardley ever gets fed or watered and just thrives." From the picture though you will notice Paula has netted her lychee tree. When they are red and delicious no bird, possum, bat or human can resist them. Please check out what a detailed job Paula has done on her my edibles page. They are grafted so you get fruit years earlier than a seedling. They are "true to type" so you know you are getting small seeds and lots of flesh and taste superb. 2. The first 2 years of your lychee tree are crucial if you get cold weather so make sure you heap up the mulch and perhaps cover it so that it will not die from a frost. 4. 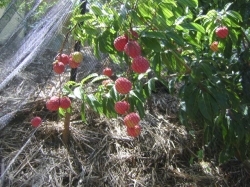 Lychees are best eaten in a hammock in the shade on a hot summers day and by yourself if supplies are limited. 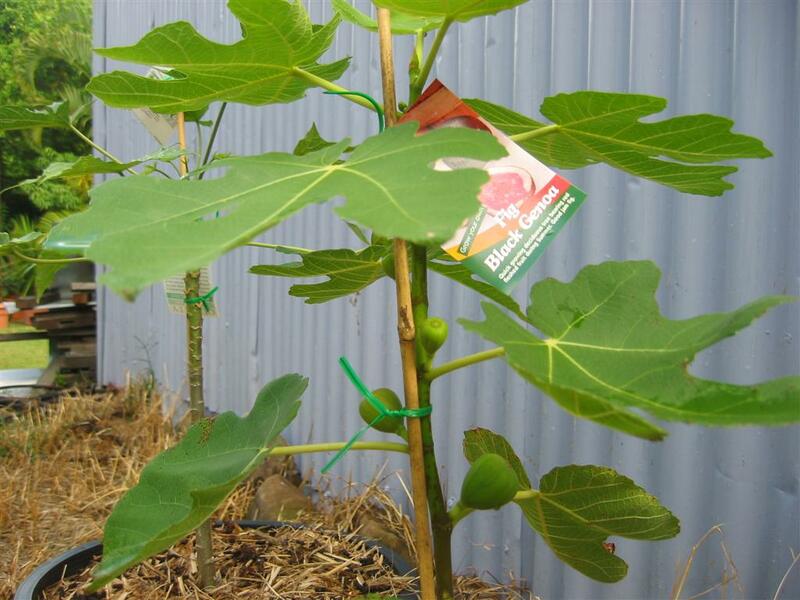 The Fig Black Genoa Tree is very popular this Spring. They start fruiting very quickly from when you purchase them and when you get a big crop and figs are selling for $2.99 each you get that gloating feeling in the supermarket. Also a fresh fig tastes heavenly. Spring Tip: When picking the fruit make sure you wear a long sleeved shirt as rubbing your arms up against the big luscious leaves can cause irritation. 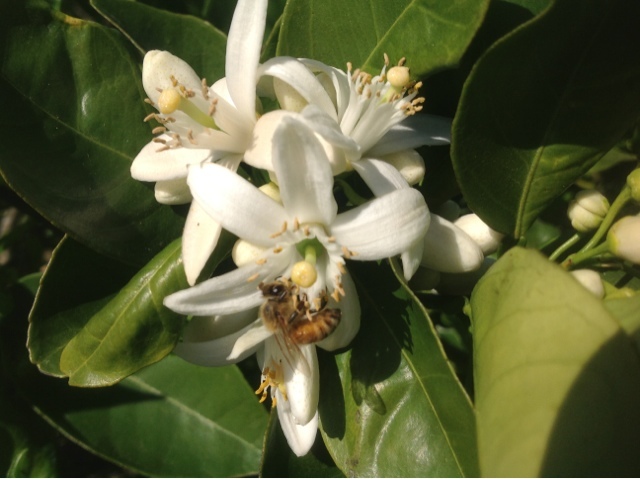 Blooming Beautiful - citrus blossoms are filling the air with their heady perfume and the sound busy buzzing bees. What spring flowers are you enjoying in your garden? Daleys Fruit Tree Nursery and 54 others like this. Trish Edmd It won't be long before I get to experience all this beauty again. Tenterfield is blooming beautifully as well - spring has sprung in all its glory. Tara Hoffmann Our lemon and lime trees are blooming. I was told not to feed them until the fruit sets. Is this true? I'm so tempted to feed them now. Daleys Fruit Tree Nursery Hi Tara, Yes wait for the fruits to set before you fertilise them or you risk getting masses of leaf growth and NO fruit. Leah Galvin lemons nasturiums calendula pansy!! Rob Slater Orange, Mango, Jackfruit and Avocado all going off right now! Adrian Vella My blood orange is flowering , very exciting ! 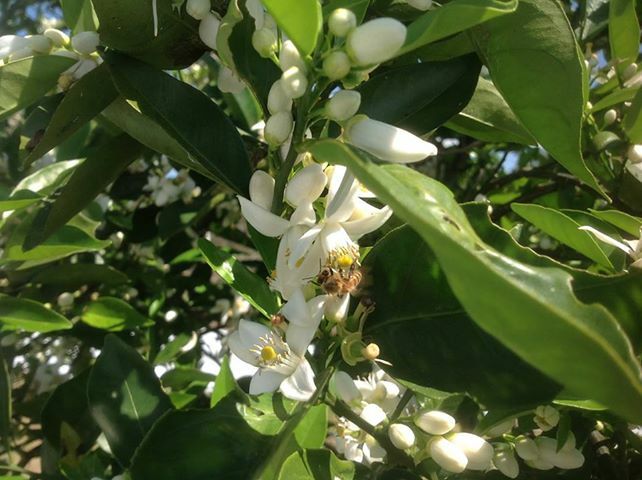 Spring has sprung and the heady scent of citrus blossoms is filling the air. The orchard is buzzing with bees who are out and about enjoying the spring blossom and clear blue sunny days, just like all the passionate gardeners amongst us. If your citrus trees are only small we would recommend that your remove any small fruits for the first two years, as heart breaking as this may seem it will give your tree the time it needs to establish into a strong healthy plant before you let it concentrate its precious energy on fruit production. 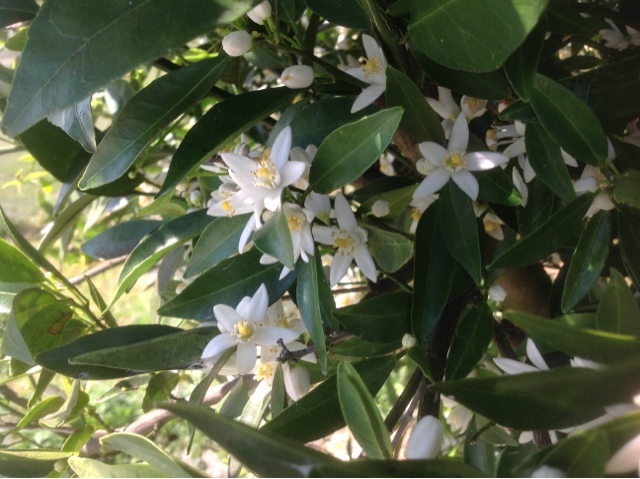 Citrus trees are highly productive trees and you can see from the number of flowers that your tree will produce more flowers and often set more fruit that it can hold to maturity. Citrus will naturally abort excess fruit but you may also choose to thin your fruits as this will give you less fruit but they will be larger in size. 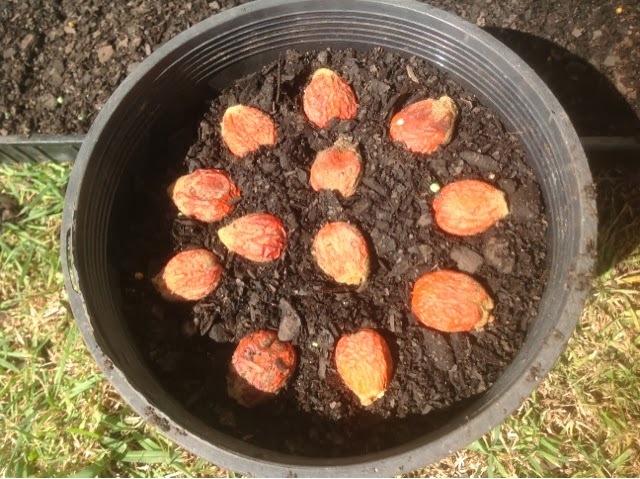 Fertilise your tree once it has finished flowering and the tree has set small fruits. Use a balanced NPK fertiliser with trace elements. Don't make the mistake of using a high nitrogen fertiliser while your tree is flowering or you will get a mass of beautiful new leaf growth but no fruit. Enjoy your spring blossoms and happy citrus growing.